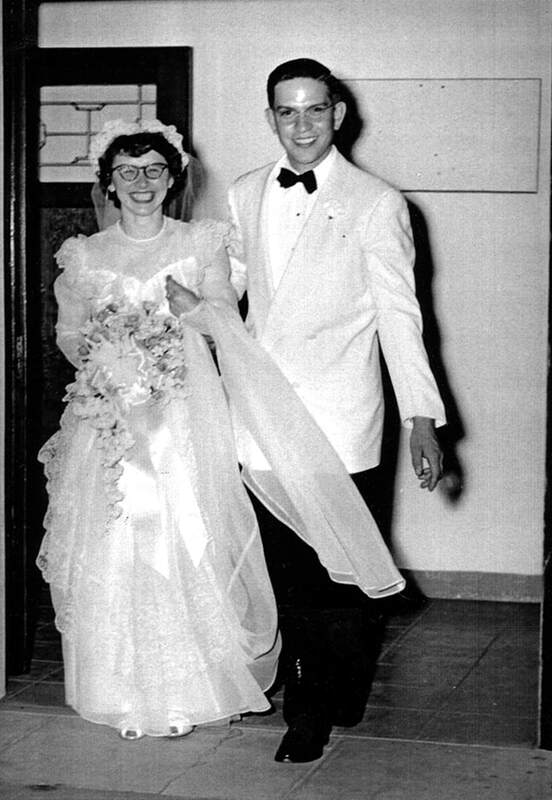 The wedding of Jacob Erdman Jr. and Lillian Scharich on May 19, 1951 at the St. Paul's Evangelical and Reformed Church in Portland. Rev. Jonathan Weber officiated the wedding. Jacob is the son of Jacob Erdman a long time member of the St. Paul's Church. Lillian is the daugher of Casper Scharich. Information and photograph courtesy of Valerie Miller.